Increase ticket sales revenue and create engagement among fans area while supporting the Tampa Bay area. Regular Season: SEC/B1G Ten fans and those who showed interest in pages related to the state of Florida. 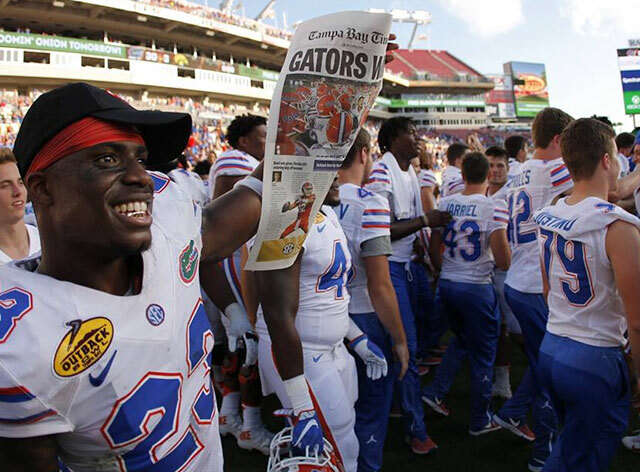 Postseason: Florida Gators and Iowa Hawkeyes fans. A separate local campaign targeted users in Southwest Florida who hailed from either the east or midwest. 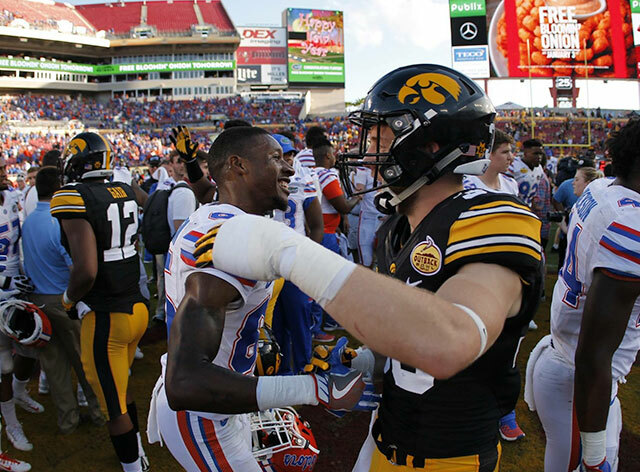 Bowl Week: Florida Gators and Iowa Hawkeyes fans were geo-targeted in a campaign that reached users in local areas. Over $24,000 in ticket sales revenue. Up to 22% increase in social media likes. 4th Most followed college bowl game. Throughout the regular season, we targeted fans of teams with a high chance of playing in the 2017 Outback Bowl. Ads directing users to “like” the Outback Bowl Facebook page helped increase website traffic. During the postseason, we pivoted our strategy in order to reach Tampa Bay locals who were searching for a fun Tampa Bay area experience. Geo-targeting local football fans around Raymond James Stadium one week prior to the Outback Bowl was the final phase of our ad strategy. Fans in local bars were shown ticket ads on their mobile devices while they browsed websites and mobile apps. This campaign allowed us to capture the most avid football fans in Tampa Bay at a time they were most comfortable–during a Bucs game. More than 10 bowl week events were streamed live and featured on social media as the week’s events unfolded. Live social media posts resulted in large engagement rates and reached millions of users during the events. Our event team supported live coverage of the pre-game events such as tailgating, player arrivals, and warm-ups along with live coverage of the post-game press conference and trophy presentation. This was designed to offer weekly entry into a season-long “pick ‘em” contest where users select the winners of 10 SEC and BIG Ten conference matchups. Each week, a prize was awarded to a winner selected at random. The more correct picks made per week, the more entries participating fans received for both weekly prizes and the grand prize: two free tickets to the 2017 Outback Bowl. Users also could accumulate extra entries by sharing their results and referring their friends via social media. Social reach increased by nearly one million users.